This is for Day 19. I wanted to do a Nutcracker. Not just any Nutcracker; a Conjunto, Norteño, Tejano Nutcracker. South Texas had a huge influx of German, Czech and Polish immigrants who came in the 1830’s bringing with them the accordion and the polka. The Tejano’s adopted the accordion and thus was born the Texas-Mexican Conjunto music. 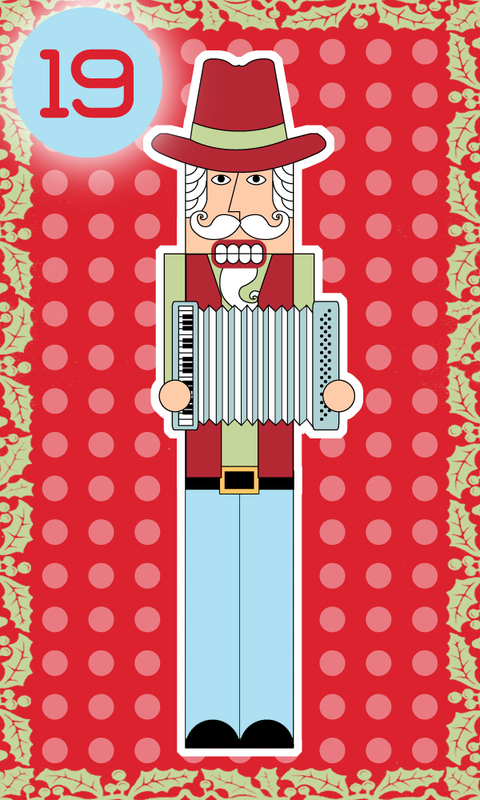 This is my version of a Tejano-German Nutcracker that you can only find in South Texas, where both cultures created a beautiful genre of music that is unique to South Texas and Northern Mexico.